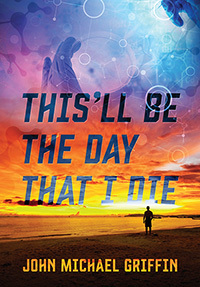 John Michael Griffin’s “This’ll Be The Day That I Die.” Four people, in perfect health and from different walks of life, know the date of their death as a result of a recent discovery by genetic scientists. The announcement overwhelms them as they go from disbelief and denial to resignation and resolution. Each person takes a different course as they prepare themselves by looking back on their lives and numbering the days they have left. Discover what happens to them and how the human spirit can change so suddenly as each person moves forward towards their final day of our most precious possession: life. Previous Previous post: Free Shipping on Author Copies Expires Tomorrow! Next Next post: Show Your Book a Little Love This Month With $300 in Spending Money!